Samoa is among the 13 Pacific Island Governments that have shown in their Pacific Nationally Determined Contributions Hub (Pacific N.D.C. Hub) they are ready to lead by example in the fight against climate change. 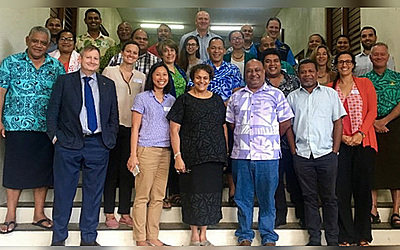 A recent dialogue held in Suva, Fiji, 13 out of 14 Pacific Island have nominated their focal points for the Pacific Nationally Determined Contributions Hub (Pacific N.D.C. Hub) showing the ongoing commitment of the region to accelerating its full establishment and operationalisation. The focal points, highlighted in a press statement, agreed on the modalities for the selection of steering committee members and that it must be established as a matter of urgency. “Climate change is a global challenge and collective challenges require a collective response as it is having an outsized and immediate impact on the Pacific, even though the region’s contribution to greenhouse gasses is insignificant,” said Samoa’s Ministry of Natural Resources and Environment C.E.O. and chairperson of the meeting, Ulu Bismarck Crawley. The creation of the Pacific N.D.C. Hub was inspired in the wake of the Paris Agreement, which was widely applauded as a universal call for all nations to band together to combat climate change, based on bottom-up contributions, which will be reviewed and strengthened over time in five-year cycles. N.D.C.s are aimed at achieving ambitious but essential long-term goals of limiting global temperature rise and building resilience to climate impacts, the statement said. First envisaged at the Climate Action Pacific Partnership meeting in 2017 and formally launched at COP23 by the Prime Minister of Fiji and COP23 President Voreqe Bainimarama, the Pacific N.D.C. Hub is being established to support Pacific Island Countries towards achieving their ambition of limiting global temperatures to 1.5 0C through their N.D.Cs., the statement said. The Pacific N.D.C. Hub is now moving from the design stage to the delivery stage and will be operational by early next year, said the statement. “It is committed to supporting countries in the region with implementing and enhancing their N.D.C.s. “Support for the Pacific N.D.C. Hub within the Pacific community has been strong, but there is a recognition further funding is required to fully service country needs. “Countries acknowledged the added value that the Pacific N.D.C. Hub brings to the region and urged for its operations to commence as soon as possible,” said the statement. The overall objective of Pacific N.D.C. Hub is for Pacific Island Countries to enhance and implement their N.D.Cs, driving sustainable and resilient development and a transition to a low carbon development pathway. The N.D.C. Hub will provide technical and facilitate partnerships to enhance and implement the region’s N.D.Cs. The N.D.C. Hub builds upon existing networks and mechanisms in the region. 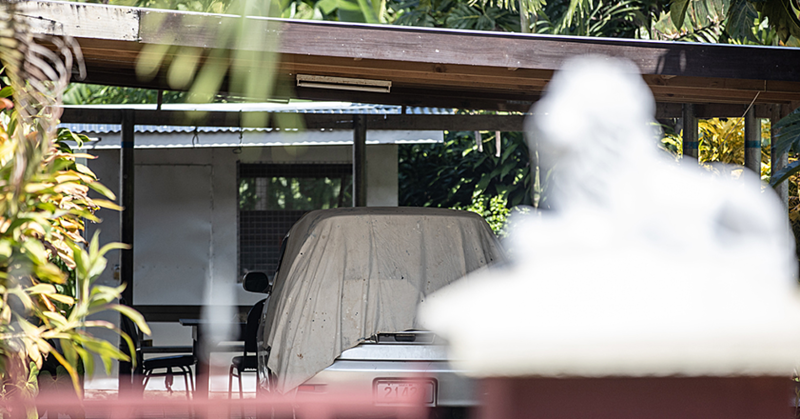 It contributes and aligns to national climate change policies and frameworks, including the Framework for Resilient Development in the Pacific and the Regional Technical Support Mechanism. The Regional Pacific N.D.C Hub is a collaborative effort by Pacific Island Countries and the Deutsche Gesellschaft für Internationale Zusammenarbiet GmbH, the Global Green Growth Institute, the NDC Partnership Support Unit the Pacific Community and the Secretariat for the Pacific Regional Environment Programme with initial funding of 2.1 million Euros from the UK, Australia, and Germany.